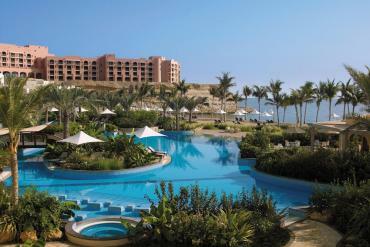 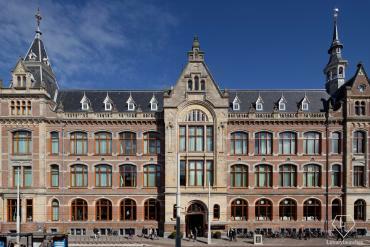 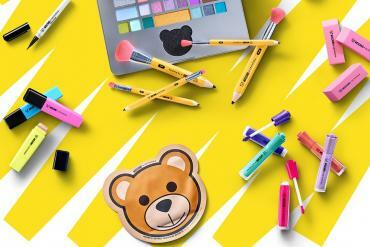 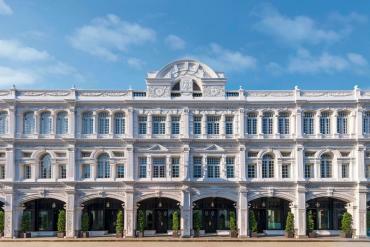 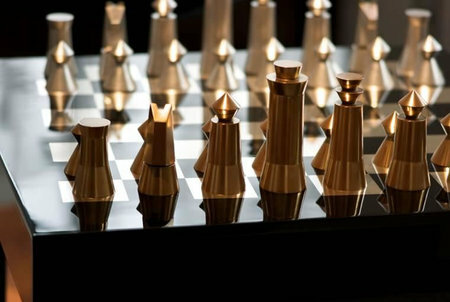 How can you convert a brainy game into something opulent, well you bling it up! 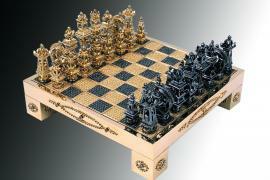 That is exactly how the concept of luxus chess boards work. 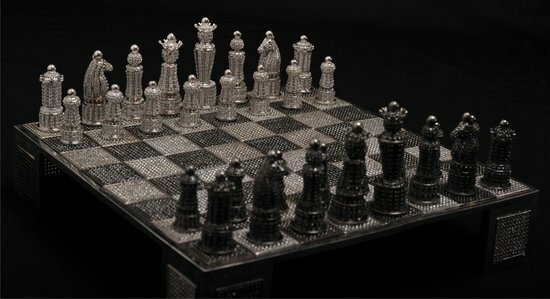 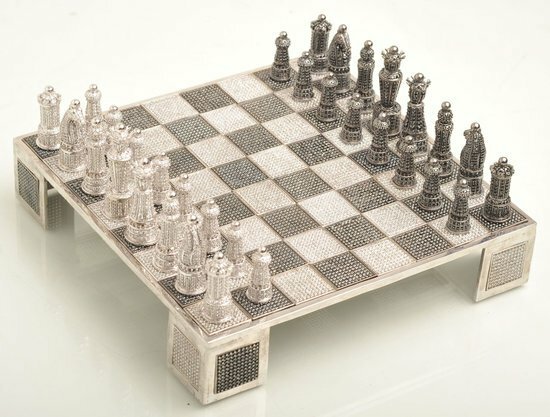 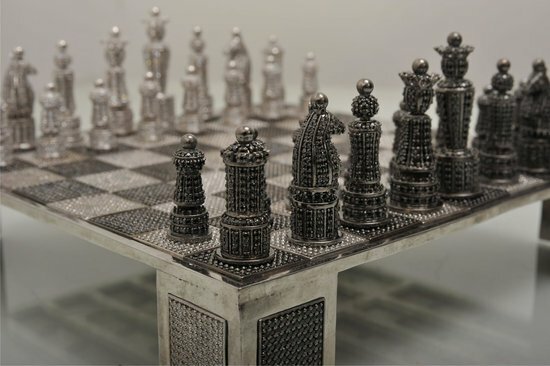 Created by Jewel Cast & Techno, this limited edition chess set is cast in 92.50% pure Silver weighing 1500gms and features 11500 Cubic Zirconia Swarovski Gems in total. 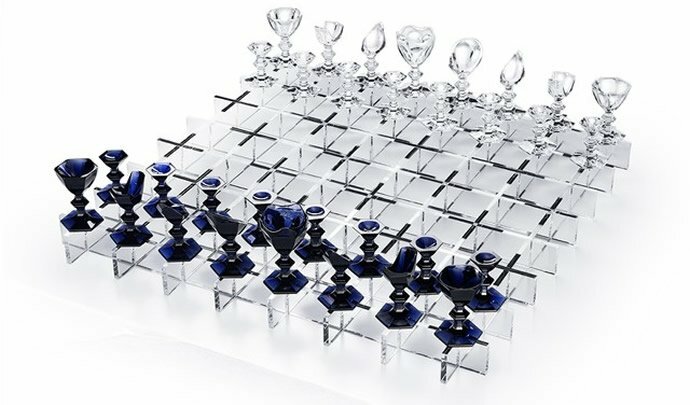 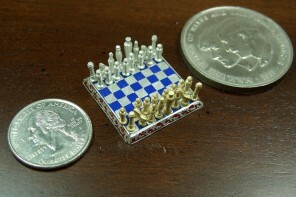 The set consists of a 200 mm x 200 mm chess board, and chess pieces all set in Swarovski Gems Cubic Zirconia Stones. 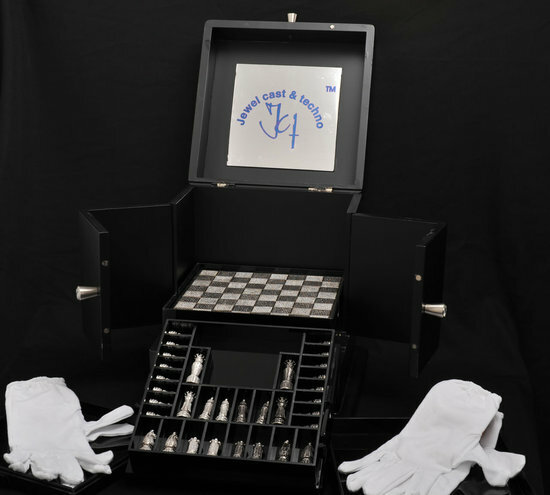 The set comes to you packed in a special high-quality acrylic black box with two pair of white cotton gloves to handle the game with care. 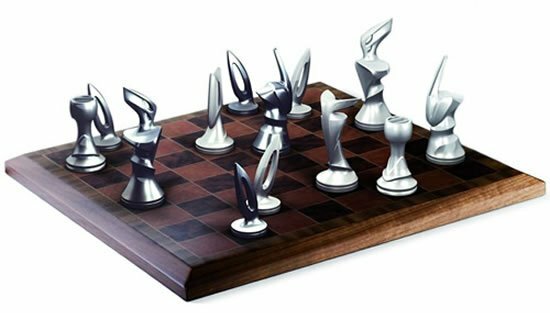 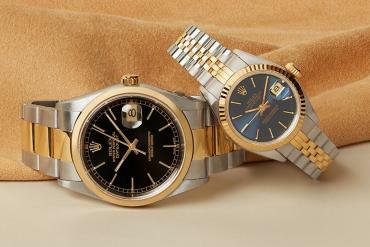 Limited to 50 pieces, each set is priced at $8,250.